The first post of 2018 should probably be in the healthy eating category, right? January 1st is when many of us make resolutions to eat better, exercise more and make healthier choices. Well, we’re already a week into the new year so I’m guessing we’re all craving a piece of cake by now. Not just any cake will do though! If we’re going to sneak in a sweet treat, let’s make those extra calories worth it! 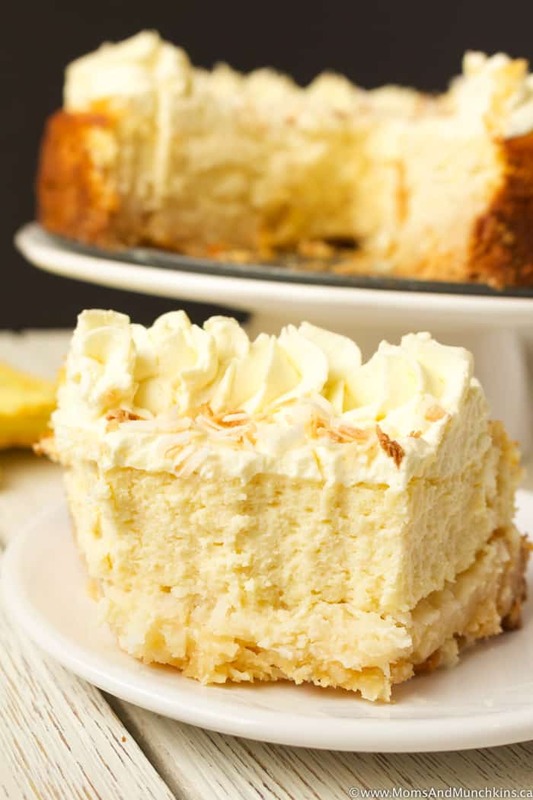 This Lemon Coconut Cheesecake starts with a chewy coconut macaroon base, then a thick lemony cheesecake filling topped with a lemon whipped topping and toasted coconut. Drooling yet? You should be! 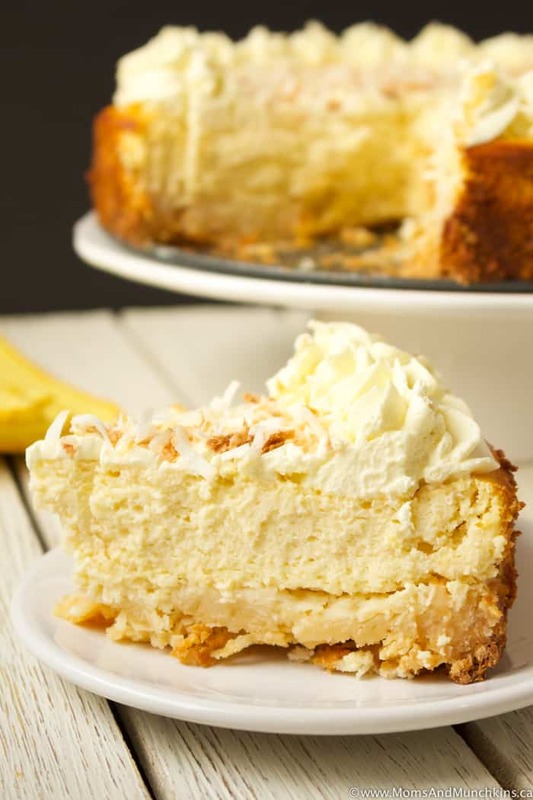 This cheesecake has “cheat day” written all over it! The coconut macaroon base is quite sticky so I’d highly recommend lining the bottom of your pan with a circle of parchment paper to prevent the base from sticking. The coconut macaroon base is quite sticky so I'd highly recommend lining the bottom of your pan with a circle of parchment paper to prevent the base from sticking. In a large bowl, stir together flour, salt and coconut. Stir in condensed milk and vanilla until completely combined. Press evenly into the bottom of a 10" spring form pan. Bake for 20 minutes until edges are golden brown. Beat in sour cream, lemon juice, lemon zest, vanilla and flour until smooth. Put all ingredients into a large bowl and beat on medium speed until soft peaks form. 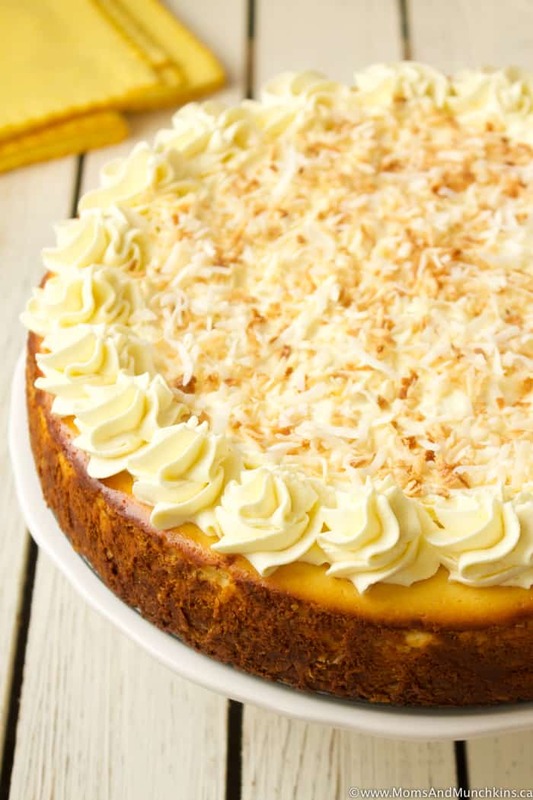 Use whipped topping to decorate top of cheesecake. 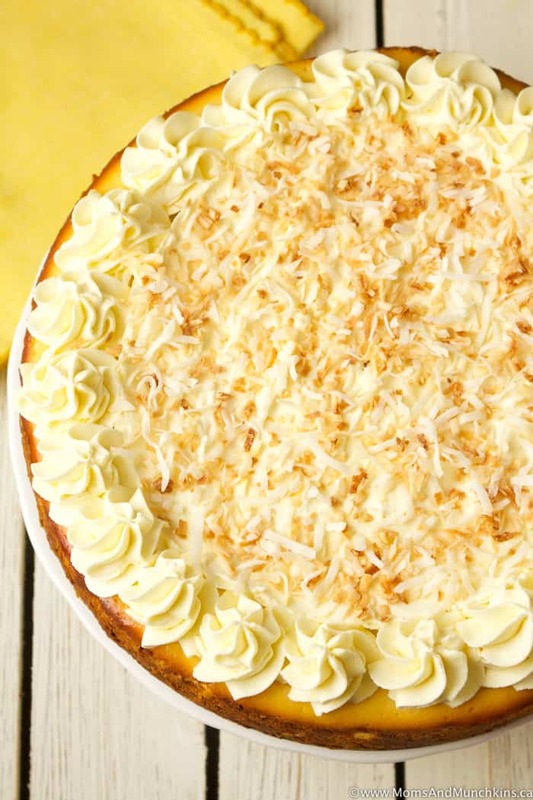 Optional: Could also top with toasted coconut. To toast coconut, place sweetened shredded coconut in a small frying pan over high heat, stirring constantly, until it starts to turn brown slightly. This will burn easily so make sure you are stirring it constantly and you remove it from the heat as soon as it's lightly browned. Cool toasted coconut completely before sprinkling over cheesecake. 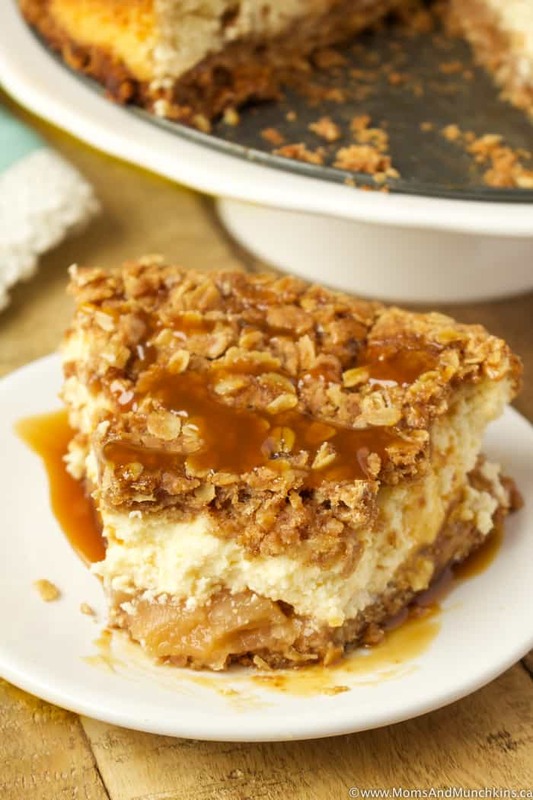 Apple Crisp Cheesecake – drizzled with caramel! 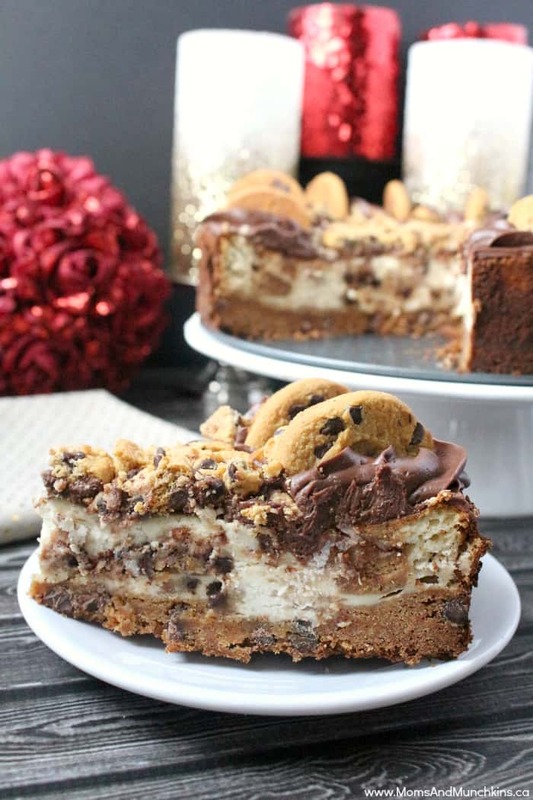 Chocolate Chip Cookie Cheesecake – because you can’t go wrong when you combine cookies with cheesecake! For more delicious ideas, visit our Recipes page. Stay updated on the latest by following us on Facebook, Instagram, Twitter and Pinterest.